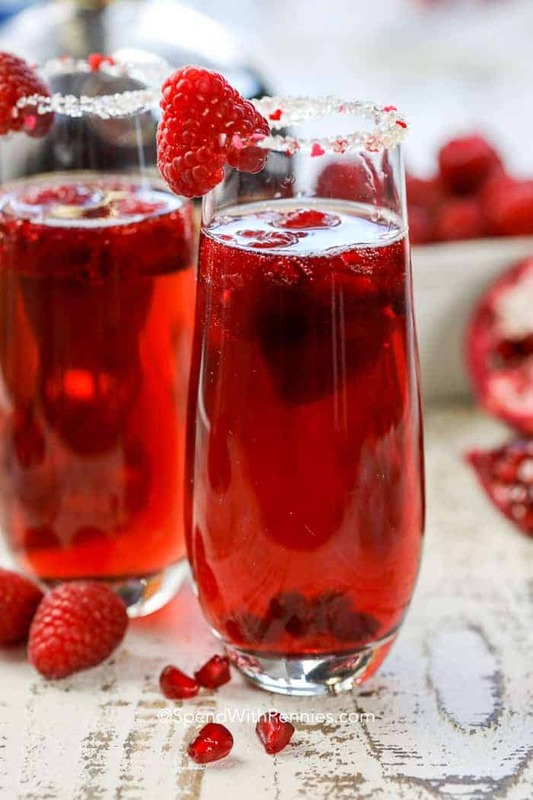 Raspberry Mimosas are a pretty cocktail to sip this Valentine’s day (or all year long). As delicious as they are made with sparkling wine, they’re also great made into an an easy mocktail for everyone to enjoy! 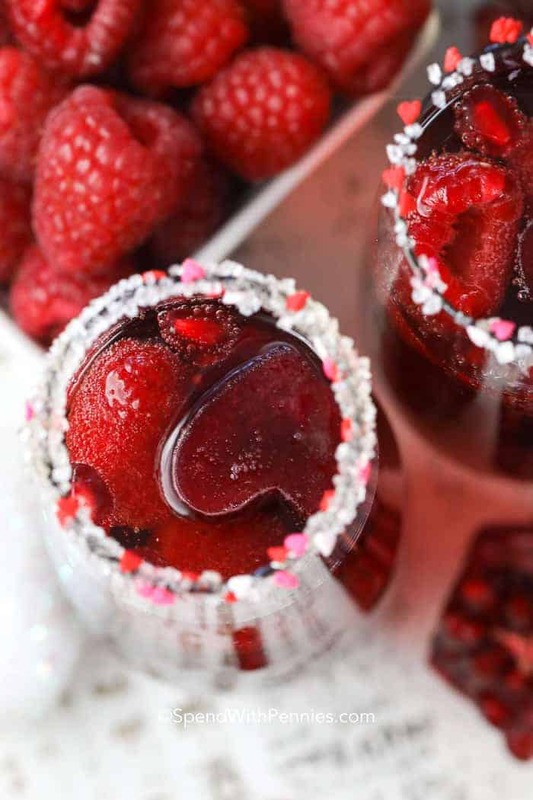 Raspberry liqueur and frosty pomegranate juice ice cubes topped with bubbly champagne or sparkling wine. 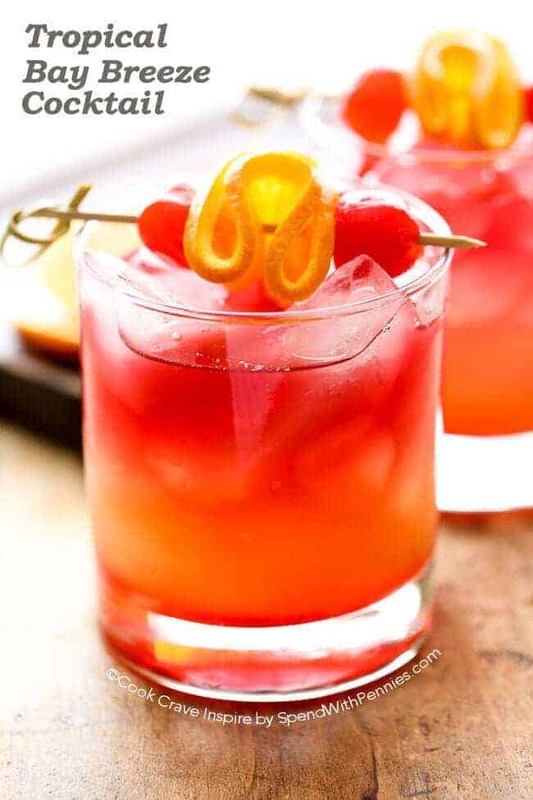 This is perfect to enjoy with your hunny or to create a fun alcohol-free mocktail for the kids! Valentine’s Day is a great time to snuggle with your honey or even hang out with your family or friends! 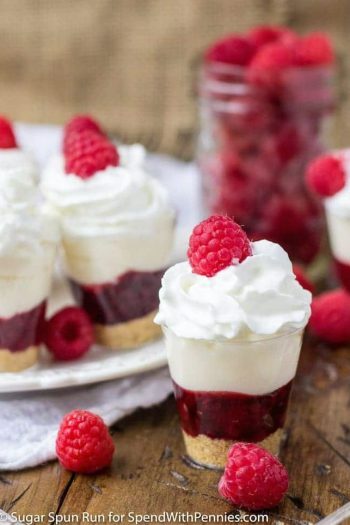 My good friend Dorothy and I have enjoyed SO MANY of her delicious Raspberry Champagne Cocktails, that I knew I had to create my own version to wow her next month when I go for a visit! But of course my husband and I had to test them out first! I wanted to create a cocktail that was delicious and full of flavor but was a vibrant red color for February! 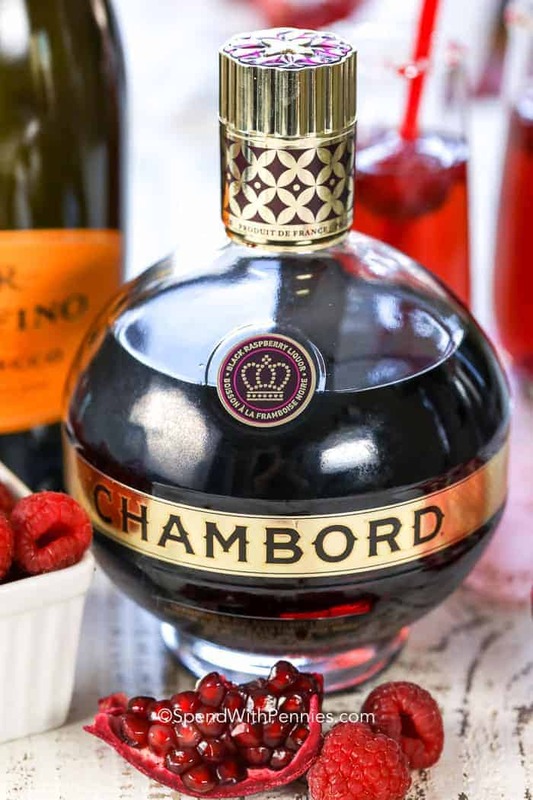 For this gorgeous mimosa recipe, I have chosen Chambord (which is a delicious raspberry flavored liqueur) to sweeten it and either cran-raspberry or pomegranate ice cubes. I prefer the look of the pomegranate as they add such a beautifully vibrant color (and if you’ve never had a Pomegranate Mimosa before, you MUST try it)! Topping this with your favorite bubbly makes the perfect mimosa. How do I Make a Mimosa? A mimosa traditionally contains champagne and orange juice. 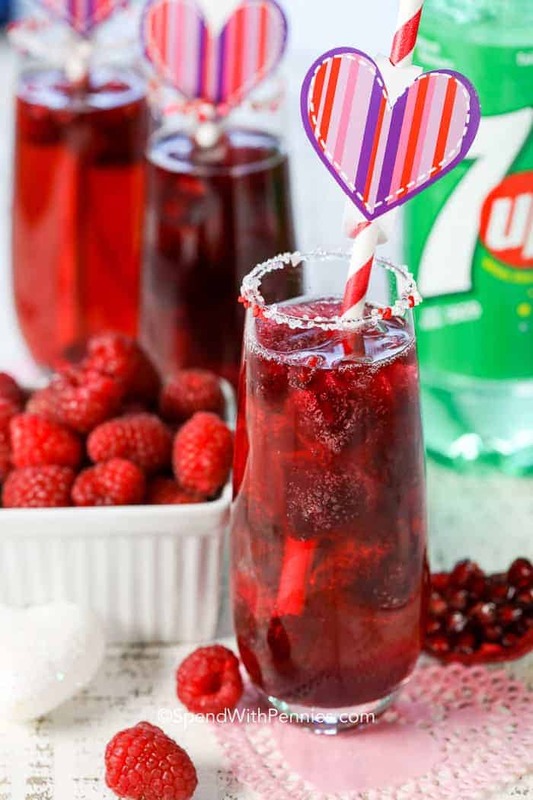 In this easy champagne cocktail, I’ve replaced the oj with raspberry and pomegranate for a pretty drink to sip on! I start with freezing the cran-raspberry or pomegranate juice, this keeps the drink frosty cold and looks so pretty! You can get cute little heart ice cube trays online or at your local dollar store. Choose decorative champagne flutes or some other beautiful narrow glassware. Add a sugar rim around the top of each glass. 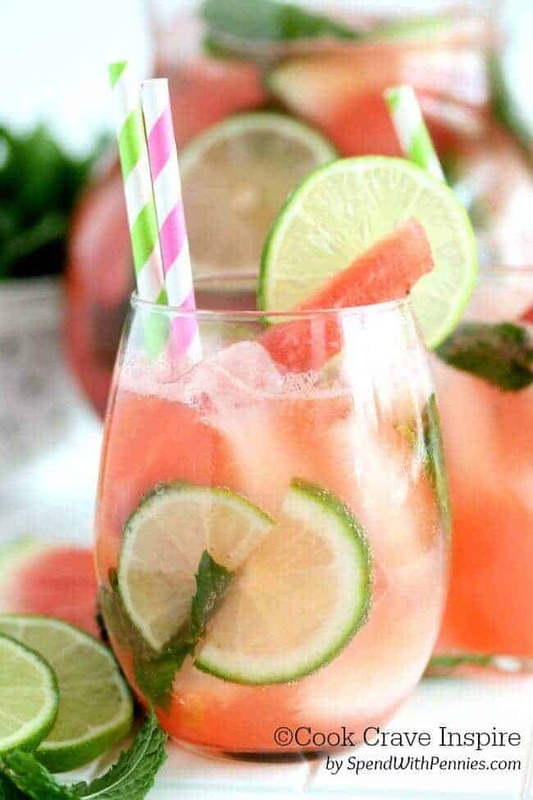 Not only is it easy and pretty, the ice cubes are a bit tart so this makes for the perfect sip! Check your local dollar store for cute stir sticks, straws or glasses. 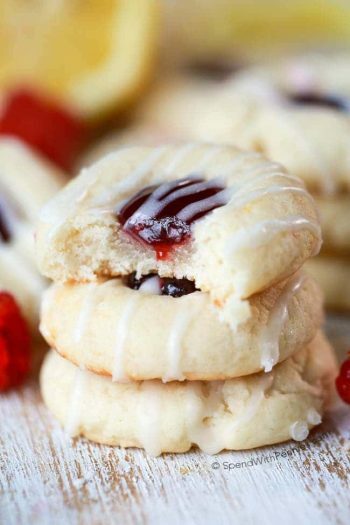 Add extra raspberries and pomegranate arils or fresh cranberries for garnish. To make this drink you’ll simply place the mimosa ingredients into your glass and give it a light stir! Start with a few frozen pomegranate ice cubes in each glass along with a splash of raspberry liqueur and top with champagne. Enjoy! I love doing something special for my family any time of the year and that includes taking a bit of time to put together a special cocktail, like this delicious mimosa recipe! If you’re short on time or didn’t ice cubes, you can certainly add an ounce or so of chilled pomegranate juice to this recipe in place of the cubes. Whether you are entertaining a group or just looking for a romantic dinner for two, this mimosa will have your guests swooning! And it’s easy to create an adorable mocktail for your kids to enjoy too!! How to Make the BEST Pomegranate Mocktails! This delicious drink can easily be made into a non alcoholic version (or Mocktail)! For the young people at your table or guests who perhaps do not want to indulge in an alcoholic drink, substitute another sweetened carbonated beverage (such as ginger ale or club soda) for the champagne or bubbly. The fun part of this mocktail is the bubbly fizz! So no matter what carbonated beverage you choose, both young and old will find it delightfully delicious. 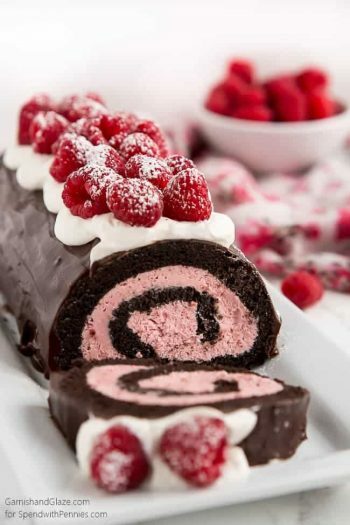 Speak from the heart this Valentine’s Day (or any day) with this Raspberry Mimosa! Rub the very edge of the glasses with a thin layer of corn syrup. 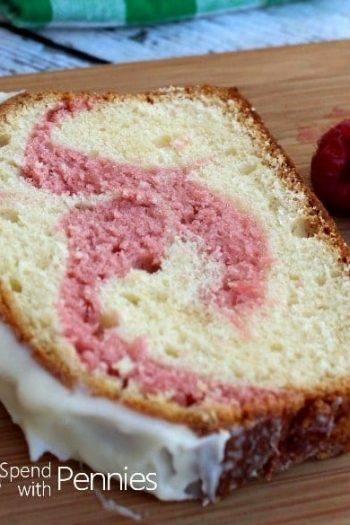 Dip into sugar or sprinkles. Fill ice cube trays with juice and freeze. 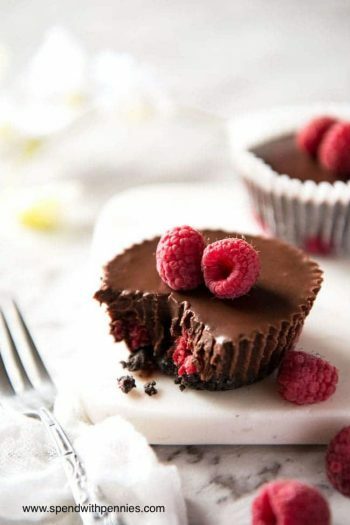 Add raspberry liqueur and ice cubes to champagne flutes.